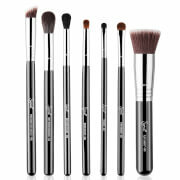 Sigma's Naturally Polished Brush Set combines a trio of must-have makeup brushes for achieving a flawless base. Each brush is crafted with a sustainable wooden handle, SigmaAlloy™ ferrules and exclusive fibres for picking up and delivering cream and powder products onto the skin with a high definition effect and no absorption. 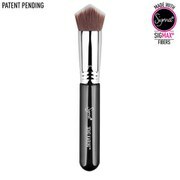 A rounded brush head with soft, dense bristles; perfect for buffing powder mineral foundation onto the skin. Perfect for applying mineral foundation, simply buff in circular motions to create a well-blended, high coverage finish. It will even maintain its original shape and colour after multiple washes. A small, dense brush head with soft, tapered fibres that mimic your fingertips, perfect for applying concealer to rounded areas of the face. Its small, tapered head is perfect for precision application, allowing you to place concealer on awkward contours of the face, including around the eyes, nose, chin and mouth. 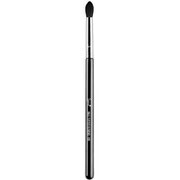 A soft and dense eyeshadow brush with squared head and slightly rounded edges, perfect for applying lighter base shades over the entire lid. Delivering the perfect amount of product, it will place colour across the lid with an even and strong finish.